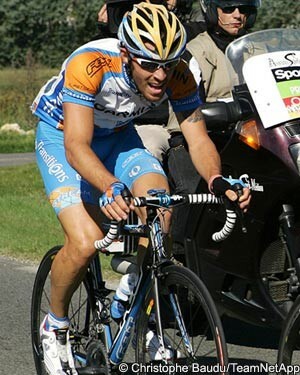 T-Mobile went to the wall at the end of 2007 then in 2008 it was ‘goodbye Gerolsteiner.’ Milram – the last of the ‘Big Three’ German Pro Tour teams – succumbed in the autumn of this year. The Dortmund, Munich and Stuttgart six day races have all fallen by the wayside; German television channels – once providing a rich seam of cycling coverage for those with a good satellite dish – have all but forgotten the sport. The retirement of Erik Zabel has been a major factor in the steady decline in cycling’s popularity in Germany; but it it’s perhaps the seemingly endless drugs scandals which have hurt the sport most. In the warm, Latin south of Europe shrugged shoulders greet most ‘doping scandals’ but Northern Europe is more conservative and a saturation point appears to have been reached. But among the gloom a beacon shines: German Continental outfit NetApp has jumped through the necessary UCI hoops to upgrade to Pro Continental status. 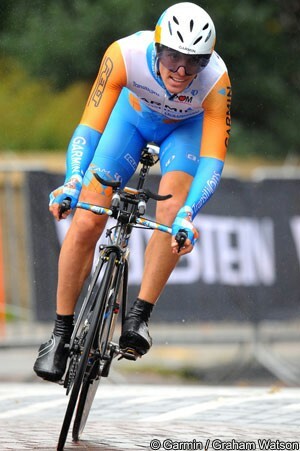 Cozza has been with Garmin since the TIAA CREF days of 2006 and still had one year of his contract to run with Jonathan Vaughters’ orange and blue squadra. But the NetApp opportunity, coupled with the sudden and unexpected influx of riders into Garmin from the defunct Cervelo Test Team and the consequent uncertainties meant the man from Petaluma was off across the Atlantic for 2011. VeloNation: First off, tell us about the sponsor – what is ‘NetApp,’ Steve? Steven Cozza: It’s a data storage company from Sunnyvale, California. We’re all in contact with them every day – they store the data for the likes of Yahoo, Face Book and You Tube. One of the main men in the company’s German operation is a big cycling fan and thinks that the sport is a good ‘fit’ for NetApp – it’s a global sport and a global company. We only have one main sponsor in NetApp and whilst I don’t know the exact team budget, I know that ultimately the team would like to go Pro Tour and ride the Tour de France. VN: Have the logistics been sorted out for 2011? SC: We’re on Austrian ‘Simplon’ frames with SRAM Red groupsets. I can’t ride mine yet because of my contractual obligations to Garmin, but they’re nice bikes and I’m looking forward to riding mine for the first time on January 1st. I’ve never ridden SRAM before and I’m excited about trying it. The clothing is by Belgian company ‘Bioracer’ but again, I can’t ride in it ‘til January first. Our service course is at Kermis in Belgium, close to the German border. Vehicles-wise, I know we have team cars, a truck for the bikes and a camper but I’m not sure about a bus. Our DS’s are Jens Heppner (15 seasons as a professional, ex German elite road race champion and Tour de France stage winner) and Enrico Poitschke (nine seasons a pro with rides in the Giro, Tour and Vuelta). They’re both young guys and very committed to the their jobs. All of the soigneurs and mechanics are in place but we don’t need as many staff as Garmin because we only have 17 riders, and usually won’t be riding a dual programme. The team is still in the development stage; it’s a lot like Garmin was back in the beginning when the team was coming together and growing. VN: How’s the programme panning out? SC: Being Pro Continental the team has to rely on invites; we had thought that we’d be riding Oman and Qatar but that’s not happening. We’ll start at the Challenge Majorca then head to Spain for one day races. We hope to ride Tirreno-Adriatico which will set us up for working towards the Belgian Classics. We know that the first year will be tough. VN: When is the first training camp? SC: We’ve already had a get together at Kermis for photographs to be taken and to let us get to know each other. But the first serious camp will be in Majorca in January. VN: What are the team’s goals? SC: We’re ambitious but we realise we’re underdogs, although the long term goal is to be the next German Pro Tour team and ride the Tour. It’s a very international team with English as the main language. There’s not really a designated team leader, we’ll be riding for whoever is strongest on the day. Erik Baumann, for instance, is one of our strongest riders; he won the espoirs Paris-Roubaix and has ridden the Giro. Then there are guys like Michael Baer, who is Swiss U23 road champion and former German junior road champion David Hesselbarth. It’s kinda weird thinking about me as a team leader; but one of my roles is definitely to get the young riders pumped up. VN: All positive stuff at NetApp, but what’s your take on Pegasus? SC: I hope they get their Pro Continental licence; I have friends on the team – Svein Tuft is a good guy, a strong rider and someone who deserves a good salary and a good schedule. VN: Is cycling the sport you thought it would be when you turned pro? SC: Cycling is much different to how I envisaged it would be when I was a youngster – there’s so much to learn when you turn pro. One of the big things is that you have to keep it as fun – as well as your job. When you have form and you’re going well it real is ‘living the dream.’ But when don’t have good form, you can have the worst moments; there are so many walls to climb – it’s the hardest sport in the world. But I love it and I’m really looking forward to a fresh start – I have a fresh spirit and motivation for the new team. I love change – that’s why I’m always changing my facial hair!